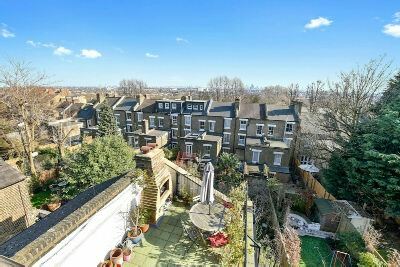 Enjoying eye popping views of London's iconic City skyline and way beyond this superbly presented light and bright Two/Three Bedroom split level Upper Floor conversion is located within one of Whitehall Park's most sought after tree lined residential roads. With the significant benefit of a Southerly aspected Roof Terrace and Share of Freehold the property is just moments from the newly constructed Whitehall Park Primary School and convenience shopping. Zone 2 Archway underground station and a host of bus routes are also nearby as are Crouch End and Highgate.